Today I inaugurate some reading tips from me, Zambonesman. Since Oprah retire, now we begin Zamboni’s Book Club. What is good about my reading tips is you don’t have to actually read the book of which i speak. Simply by reading my comments, you will know enough to talk about the book smartfully at a brunch or bar mitzvah, and this is more important than reading whole book. And time saving for sure! Like we say in Estonia, “why cook over horse dung fire if you have microwave”. I have discovered there is more to this American place you call New England, than oxford shirts, clam chowder, and cool beach names like Squibnocket and Annisquamsett. Namely I have been reading Ralph Waldo Emerson. "Our fear of death is like our fear that Summer will be short, but when we have had our swing of pleasure, our fill of fruit, and our swelter of heat, we say we have had our day; and rest of brain and affection please." This Emerson writing is with such strange energy and heat, no wonder it was not taught to me in Estonian school; all the time it is urging you being true to your own mind, that this is the primal energy that must drive the world. Plus I did not even know “whoso” is a word in your English! Neat. Emerson tried to be a preacher, but his mind was too big for the walls of the church, and his fire for knowing and feeling god inside his soul transcended the rules and rigamarole of the olde school church routines. Thus he come to be known as “transcendentalist” with his cronies like Thoreau. 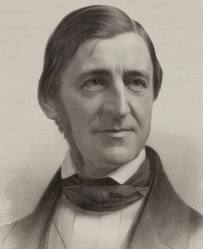 Since knowledge is medicine, I would prescribe Emerson for those times you feel like you are fading into life a little too grey. The times when you just aren’t sure where you end and others begin. So now you are knowing some Emerson, or perhaps you already did- but if not, you have something to speak of over lunch. Fast and Easy- just like Zamboni's Book Club! 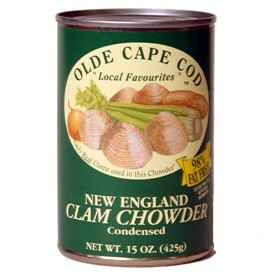 Posted on June 28, 2011 June 30, 2011 by ZambonesmanPosted in meaning of life, UncategorizedTagged clamm chowder, Emerson, great zamboni, J. winer, new england wisdon.